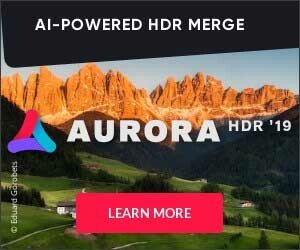 We have a new sponsor of the site here with BorrowLenses.com! As you guys know, I only do reviews of products and services that I actually use, and I’m happy to say that BorrowLenses has made it onto that coveted list! What is it? It’s basically NetFlix for Camera Lenses and it’s very cool. I guess I could end the review right there. You get it, right? They have a website with tons of lenses. You pick out the lens you want, choose how long you want to rent it for, then check out. It couldn’t be simpler. I tried it out by getting a Fisheye lens for my Nikon. Specifically, it was the “Nikon 10.5mm f/2.8G AF DX ED Fisheye””. It’s about a $700 lens, and it’s one of those that I’ve always wanted, but I’m not sure I would use it “$700-worth”! Does that make sense? I am going on a special trip or for a special shoot and I want to rent a lens for just the duration. For example, maybe a wildlife-viewing trip where I wanted one of those monster zoom lenses. I’ve always wondered about how I could use a lens like X, but I don’t want to shell out a ton of money and have buyer’s remorse. A good example is a macro or a tilt-shift lens, in my case. BorrowLenses.com is also more than just Lens Rental. You can rent lights, flashes, tripods, memory cards, and all other sorts of accessories there too. The process was extremely simple. The lens I ordered arrived in well-cushioned box that contained all the return instructions and Fed-Ex stickers for return inside. Returning was a snap. I just put it back in the same box and affixed the Fed-Ex sticker that came with the lens. Easy as pie! I certainly recommend the service. I loved it and I’ll be using it for lens rental again and again! Now I have no excuse not to try out new lenses! Here is their little ad below. We will also run it along the right hand side of the webpage. As always, we like to keep the advertising as unobtrusive as possible.